Enjoy hand crafted goodness that will knock your socks off! There is no better way to combine our love for family, friends, and cooking than to gather them all at the same time. The newest venture in our lives takes to that combination. We had been thinking about the next direction in our lives, and when out with our children one evening, it was right there. Let's do it!! In January of 2015, our venture began. We purchased our pizza oven. Incorporated our business, and we are now in the process of getting things rolling along by Spring 2015. Yep, wood fired pizza on wheels. We can go where you want us to go. 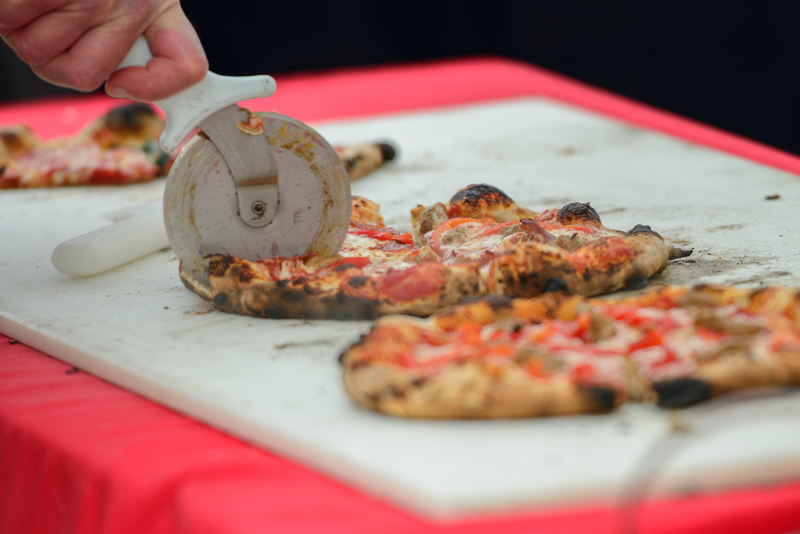 From festivals to county fairs to town squares, you can watch your specialty pizza being made from dough, to toppings, to the fire in the oven. You can watch the transformation of your pizza creation from oven to plate in approximately two minutes. We got it home to North Carolina. A little pizza in the front yard! Scotland Neck, inbetween pouring rain storms! We made the ad for the NNO Food Truck Rodeo in Greenville, NC 2015!!! Purchased a new oven! 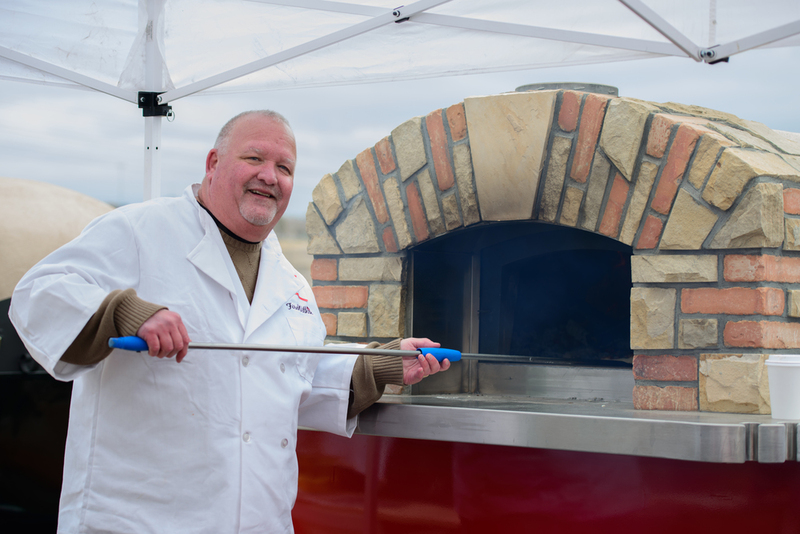 Initial stages are underway to get our wood fired pizza on the road and out to you! The oven was brought in from Italy. Just the dome and the brick floor of the oven weigh over 1,000 pounds. I met with the masons that will be doing the finishing touches when I was in Denver the second week of February. The pictures indicate the progress to date. The middle/end of March cant come soon enough! So far, we have had a wonderful time with our oven. Going from town to town, festival to festival. Meeting lots of fabulous people! We started out with the Washington Marine Market in April. Scary, not knowing what to expect, yet exciting, ready to get 'er going. In spite of the rain in the afternoon, we sold as many pizzas the first part of the day as we expected to sell the whole day ! ! ! Next, we went to the Potato Fest in Elizabeth City, NC. Once again, a little scary, knowing this might be a bite bigger than we could chew. What a blast!